Although Dad had a stroke, he still insists on driving! My Dad Won’t Stop Driving And It’s Driving Me Crazy! A caller, James, recently lamented about his father who, following a stroke, still insists he should drive. A great resource for this issue is Keeping Us Safe . 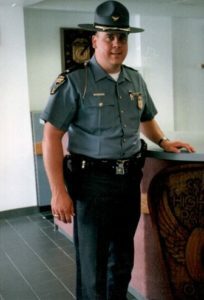 Founded by retired Ohio State Trooper, Matt Gurwell, Keeping Us Safe is an organization that provides practical, real-life solutions to older drivers and their families. Their programs are designed to save lives while simultaneously helping to ease the burden of the family as they find themselves faced with this very challenging issue. This is why do we do the show. Caregivers often find themselves arguing sense with those who can’t or won’t be sensible. The goal is for caregivers to remove themselves from as much drama as possible. We do this by enlisting the help of professionals or those who bring an expertise to the situation. While it’s impossible to eliminate our being the one saying, “No,” we can reduce the number of times WE have to say it to our loved ones.